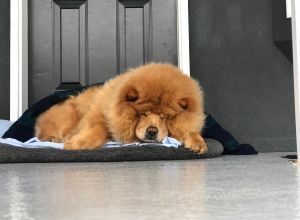 Mia | Chow Chow in Vancouver. My Mia is a very sweet Chow that enjoys her walks. She loves the outdoors, and loves watching time go by. A spot at the park with a view will suit her just fine. She’s an old girl, so I let her do her thing now. I think she’s just happy with the company now. She brings smiles to so many people, and I hope she keeps you smiling too. Hello! I am a busy fur mom looking for someone to spend time with my senior Chow. My husband has his own real estate firm, and I spend a lot of time at the office. I’ve signed on to Dogtime to have someone spend time with my sweet one during the day while I’m away.